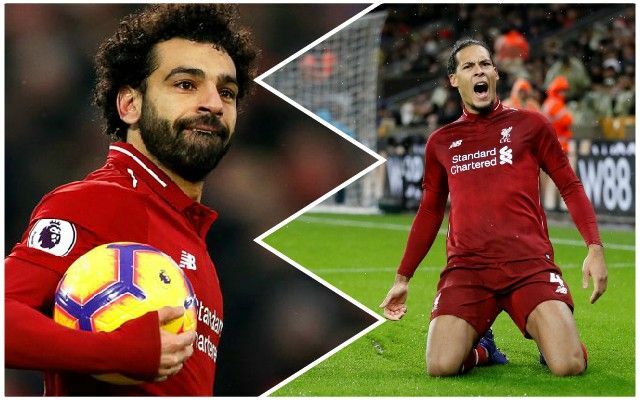 Liverpool have a 65% chance of winning the Premier League this season according to Kroon Casino, who have extensively simulated the remaining fixtures for the teams currently lying towards the top of the table. According to the research (via the Liverpool Echo), the Reds will finish on 94 points, three clear of Manchester City, with the gambling company having done 10,000 simulations based on recent performances. At the start of the season, Kroon Casino had the Reds down as having a 10% chance of finishing first. Tottenham are predicted to finish third on 86 points, while Chelsea are said to be in line to come in fourth spot, ahead of Arsenal in fifth and Manchester United in sixth. Both the Reds and Manchester City are said to have a ‘more than 99% chance’ of finishing in the top-four. Whatever happens between now and May, the Reds have put themselves in a brilliant position. Starting on Monday night at the London Stadium, Jurgen Klopp’s players will be looking to prove the odds are correct.